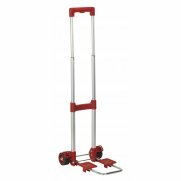 High quality tubular steel frame. 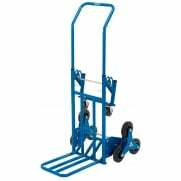 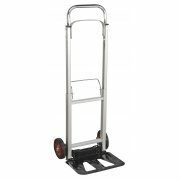 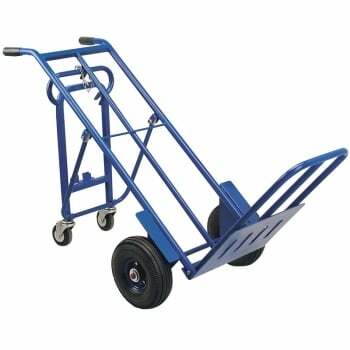 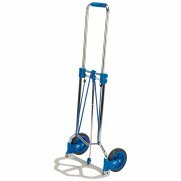 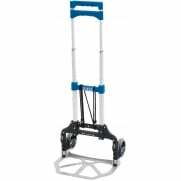 The sack truck has an extra set of swivel wheels that can be lowered vertically to serve as an extra support near the handles or positioned horizontally as "drag along" truck for heavy or bulky loads. 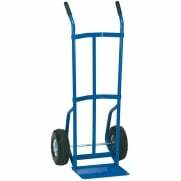 Fitted with pneumatic tyres and grips on handles.